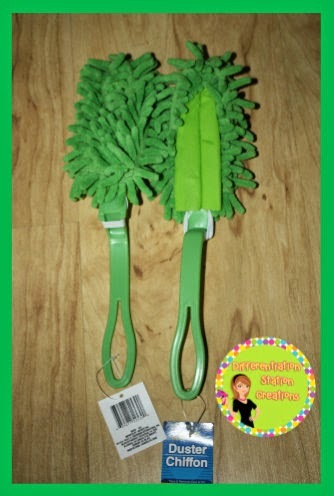 Remove one of the cloth dusters off of the plastic handle. 2. 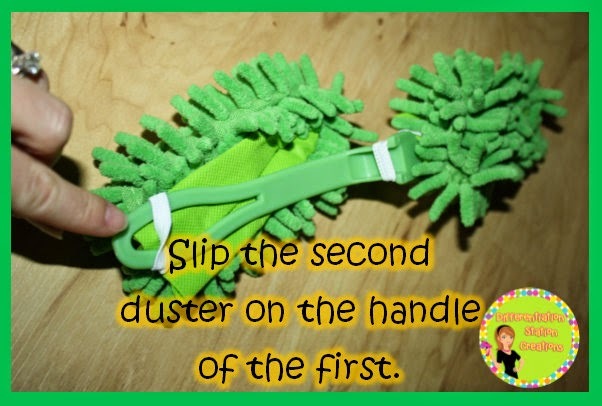 Slip the elastic from the second duster over top of the “head” of the alligator. 3. Put a safety pin through each side of the alligator’s “mouth”. You can hide the safety pins in all of the green fringe. The safety pins will keep the alligator together, despite some rough handling. 4. Hot glue the wiggly eyes to the glass rocks. 5. Hot glue the eyes to the back of the alligator. 6. Hot glue the foam teeth to the top edge of the alligator’s mouth. Measure the length of the alligator’s mouth before you cut out the alligator’s teeth. 7. Hot glue the teeth right up against the edge of the alligator’s mouth. This will help the teeth stand out. You’ve created Greater Gator! A perfect puppet & math manipulative to explore the concept of greater and less than. 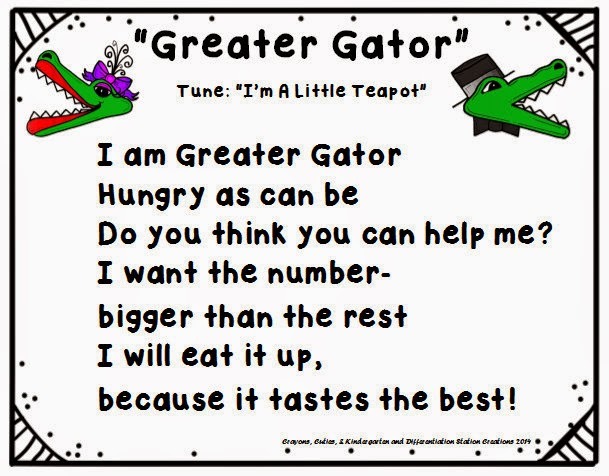 There are so many ways to use “Greater Gator”! I collaborated with Jenn Drake to create some songs and chants for “Greater Gator”. Pick up your FREE copy of the chants and songs here. Use “Greater Gator” with finger puppets. 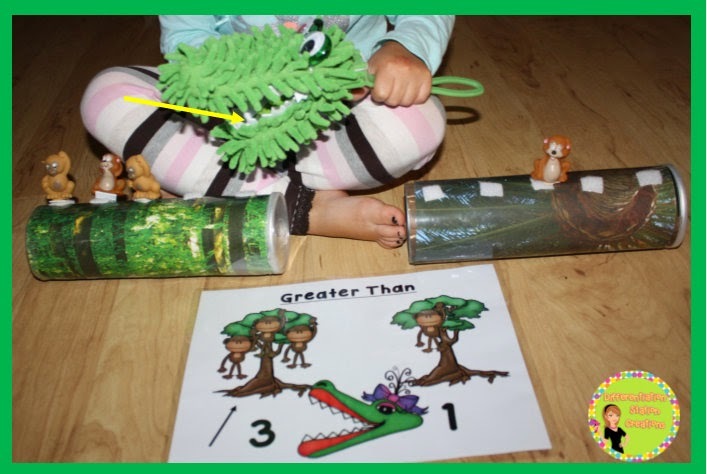 Two students can put different amounts of finger puppets on one hand, while a third will use “Greater Gator” to chomp the biggest number. This will help students begin to get comfortable with the signs for greater than and less than. Use Pringles can manipulatives to help identify the larger numbers. Students will be able to physically move the animals, while counting. Thus, allowing students to practice one-to-one correspondence. See a DIY for Pringles cans manipulatives here. Use a “Greater Gator” hat (from the dollar store) and gloves with Velcro to demonstrate greater than and less than- gator style! Use blue plates for “ponds” and have your gator chow down on some gold fish! Thanks for checking out “Greater Gator” with me. I hope you found some fun ideas for your kids! 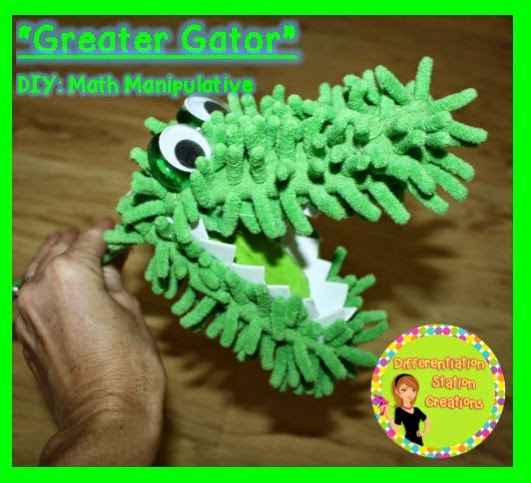 This idea of creating a “greater gator” to help teach kids about the value of numbers is a great idea! Not only does it help children remember what way the ‘greater than’ or ‘less than’ symbol is supposed to face but it also has a song that goes along with it. Pictures and songs can help assist kids in learning by making it easier for them to remember. This is a great lesson for children in first grade.